This release confused me to begin with. I wasn’t ready for it. I wasn’t ready to sit down to write about music again; not yet. I had taken a break from that particular kind of writing, that certain reviewing effort, which had taken so much of my time, and had made me listen in a special way; short linguistic figures falling through my awareness as the music rose through me like anti-gravity; me jotting down notes: elusive, transparent wordings, straight out of the spirit of the music. I hadn’t meant for this break to be very long. 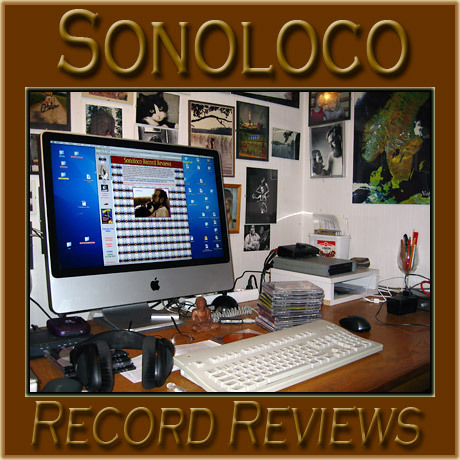 Just a few weeks – but in the meantime I decided to finish a job I started decades ago, and which stalled a couple of years ago, when too much effort went into essays about music; namely getting my music collections in complete order... This archiving business turned out much more time-consuming than expected, and still I needed to get it done. It is important to find what you need out of your archives when you’re in the middle of an essay and need to listen to a few bars here, a few bars there. Therefore this tedious work was geared towards a future writing; make no mistake. I hadn’t left this writing about music; just taken a break. However, when Magnar Åm’s music resounded in my home from this phonogram from Norwegian label 2L (Lindberg Lyd) I knew my time off had come to and end. I simply could not put this completely wonderful music in the “to-be-reviewed-somewhat-later” stack. That wasn’t an option. I played the CD over and over, and when I didn’t play it, it haunted me. Let me also explain that this issue comes in an exclusive double-CD box, looking like nothing else I’ve seen. One CD is a high definition super audio CD, while the other CD is a blu-ray disc containing the same musical material. No matter how you decide to listen, technically, this release will bring you bliss! When I first started to listen, I was caught unawares. I wasn’t prepared for the immediate effect on me, though I know that I really am a sensitive person, for whom the arts equal life, in many ways – and even the pure essence of life. Still, I was not prepared for the immediacy and the intellectual as well as emotional force with which the gentle beginnings of these works swayed me. It was a day in early March, and a peculiar snowfall sort of took the breath out of me on my way home. It was an extremely dense snowfall, coming precisely straight down, but consisting of almost microscopic snowflakes, which were some kind of hybrids between tiny, sharp hail and very minor snow pellets. (I come to think about Yngve Ryd’s book SNOW, describing the more than 300 distinguishing words for snow that the reindeer herding part of the Sámi people use!). It was hard to breath in this white density, and I approached home with my hood up, steering the bike. It was like moving through the hasty motion of an old, flickering, black and white filmstrip. I opened my door and found the package from Norway, with this music that gives me plenty of space and breathing room. The music starts with three cautious, scattered, thin plucks of the harp, gently joined by one violin, which emits transparent lines of high pitches, like barbed wire across a field, disappearing into mist, while the harp trickles a repetitious little figure that switches intonation and pitch; the two instruments moving in a hoquetus limp through the score, as the other instruments of Oslo Kammersolister (Oslo Chamber Soloists) emerge and follow suit. The atmosphere thus created is charged with high tension, while remaining transparent and loose, like a person under the stars, deep in meditation – or like an old man with a frail anatomy, lost in powerful memories, his mind crystal clear while his body withers away. As the bars of the first minutes paint these fine sketches of faint colors in wide strokes over the canvas of my mind, I realize why I feel so accustomed to the sensation. The music reminds me very much, initially, of Morton Feldman and especially his For John Cage, but Magnar Åm’s piece also opens analogies to Arvo Pärt’s miniature Mirror In A Mirror, none of which, however, features the harp, but piano and violin. Vere meininga is by no means imitating Feldman or Pärt, though, which should be obvious to the initiated by the two different examples given – but I am aiming, with those examples, at a certain atmosphere; a particular state of mind, which Vere meininga creates, carving this lucid cathedral of Mind out of Space and Time. Sincerely beautiful! As the rhythm of the phrases shows minute changes and variations, the ensemble counters with underlining musical reasoning and intensity contracting; ease and relief expanding. Breathing. There is no treatment what so ever of Hildegunn Riise’s voice, save a slight room reverberation. If there is one minor objection that I could voice, it is that perhaps Riise’s recitation could have been a little more present, i.e. amplified some more and brought somewhat closer up to the listener… but that is only if I look really hard to find something to complain about, and not at all an issue! 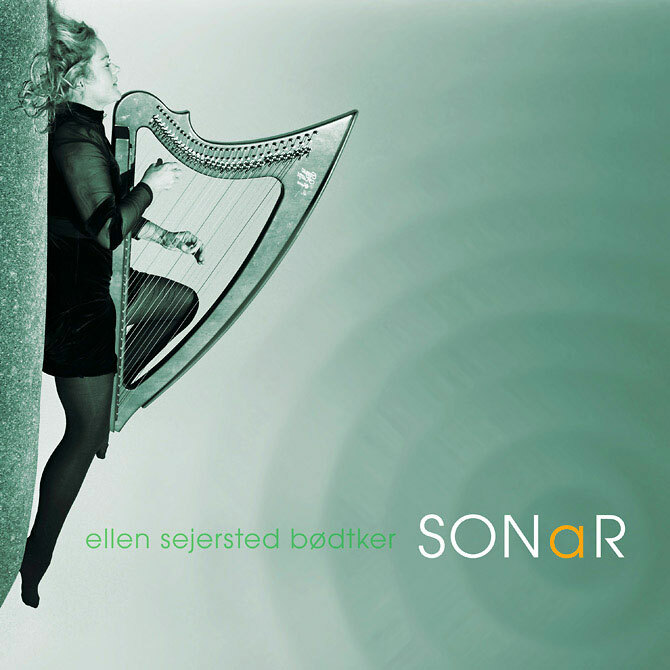 In the booklet one can read that Vere meininga originally was a commission by Jun Zhi Cui for Chinese harp and string sextet, and that the present version for European harp and string sextet was written for Ellen Sejersted Bødtker and developed in collaboration with her, or in consultation with her. The Asian link is not at all out of place, for Sejersted Bødtker’s playing sometimes, in particularly lucid passages, reminds me a lot of the traditional Japanese string instrument koto, which in turn came from China in the 6th century. Koto has also been revived into modern art music, and the most obvious example of this, to me, is the recent collaboration between U.S. composer Pauline Oliveros (accordion) and Miya Masaoka (koto) on the Deep Listening label, which has been reviewed here at Sonoloco. Much of what Magnar Åm states above could have been quoted from Karlheinz Stockhausen. On numerous occasions I heard Stockhausen speak of the necessity of building concert halls like globes, with the listeners placed in the middle of the sphere, with sounds below as well as above and around them. It was one of his greatest hopes for the future to see such performance spaces occur here and there, for his new, spatial music; his trans-real compositions. He had the opportunity to actually oversee the construction of such a concert space in Osaka, Japan in 1970, for the World Fair Expo, when Germany built the first spherical concert space, with 50 groups of loudspeakers placed all around the audience, and in which Stockhausen’s composition SPIRAL was performed 1300 times from March to September 1970. 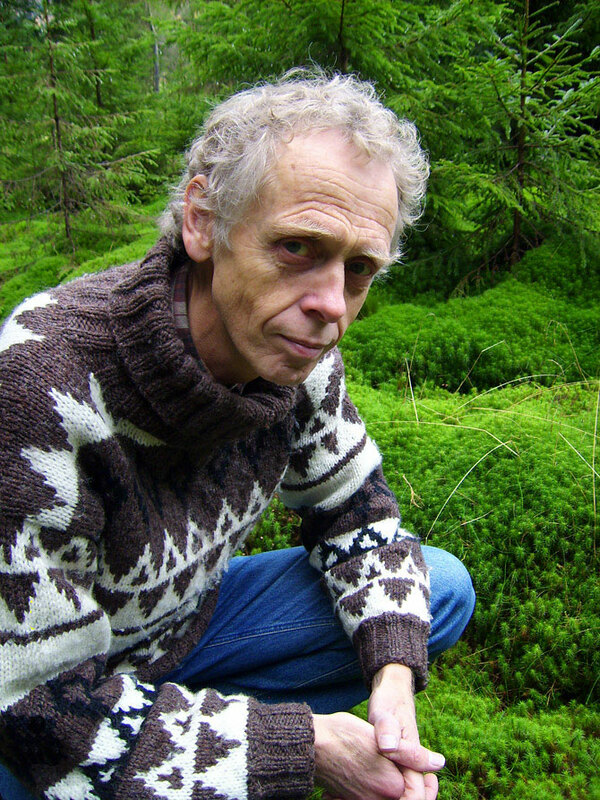 One would have thought that, with the development of electroacoustic music, such spherical auditoriums would pop up like mushrooms all over the world, to accommodate the new music, but this has come to nothing, surprisingly, which is why we have to wait for proper performances of Magnar Åm’s spherical compositions. The music finds its way, winding between visions in my mind, entering hovering spheres of occasions from my life or anybody’s life: a sudden awakening in a summery meadow, dense with fragrance of flowers – or a childhood week spent in a hospital with kidney problems; white walls, rows of metal frame beds and starched cotton; the view out the high windows: the pine trees. And Ellen Sejersted Bødtker starts talking like a little girl through her harp; tiny musical figures in intonations that equal the wrinkled forehead of an insisting little one who needs some affirmation; a nagging urgency disguised in something pretty. As the music of Magnar Åm develops further, I seem to integrate it into a preponderant psychological atmosphere that I’ve existed in since my daughter Josefin, who studies English literature in Oxford, recently sent me a book that I’ve completely taken to heart: Haruki Murakami’s The Wind-Up Bird Chronicle. I live parallel lives since I opened the book up unto its first page, and now the Japanese side of my current existence resounds with the translucent music of Magnar Åm’s sound worlds. I never cease being fascinated by how my personal world recreates itself by the hour and by the day, in this fashion, right now directed by Haruki Murakami and Magnar Åm! Not long ago this psychological atmosphere was dominated by Deepak Chopra (SynchroDestiny) and Andrey Kurkov (Death And The Penguin). It keeps on changing, keeps on keeping on. I flow with it, observing the scenery. Ellen Sejersted Bødtker suddenly rattles off glaring tuttis on her harp, intertwined with the girlish question mark urgencies of before, until falling out into the embrace of lyric inwardness, like slowly lowering yourself into a swimming pool outside an apartment house in Dallas on a hot night growing dark. The work - Vere meininga (Be The Purpose) - seems to recompose itself towards its conclusion in a gesture of recollection and reflection, as you might expect your life to do at a ripe age, when experience itself provides a tower of mental strength and see-through magic. The Norwegian title for this shorter work would translate into It Was Soft, referring to a mild rain, but one has decided on simply using the first words of Moustakas’ poem for its English title; I Awoke. The author is one of the leading experts on humanistic and clinical psychology. In reality you are no one. That is how anonymous and formless reality is! you who get dizzy at the slightest pothole! This said, immediate sensations of loss and grief aren’t that easily ignored, nor remorse. I keep lingering in thoughts of my ex-wife, whom I haven’t been married to since more than twenty years, but who now withers away at a cancer clinic in Baltimore, Maryland, with no hope of recovery, our son Ivan at her side. Flashes of our years together come as uninvited guests at the most inconvenient times; memories of tenderness and trust, or just pictures from a time of closeness never to be recreated. Therefore this piece of Moustakas’ text and Åm’s music really mean something to me. The tender, extremely clean and high-pitch voice of Berit Norbakken Solset begins alone, inspiring angelic as well as medieval associations. 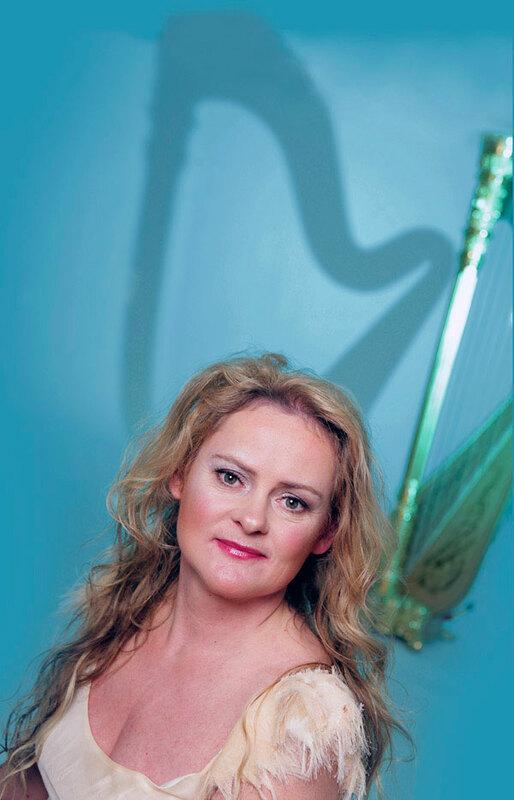 Soon Ellen Sejersted Bødtker joins on her acoustic harp, which glitters and gleams like crystals on moonlit snowfields, or like the reflections on Lake Saimaa in Finland through the birch leaves blowing in the morning breeze of June. There is a transcendental sensation about this music, and yet it comes so close to the listener, primarily through the timeless vocals by the soprano. No vibrato; nothing superficial: just the human touch and the angelic touch joined in this Clark Moustakas’ text. I feel my mind purifying in this music, these vibrations through the ether; definitely music of the spheres, if ever I heard it! Berit Norbakken Solset’s voice is time slowly moving like winter light across the snow-free ice expanses outside Saltsjöbaden in the late years of Swedish aphorist Vilhelm Ekelund (1880 – 1949) in the 1940s, when he walked his skeleton sleigh, pondering Pindarus (app. 522 BC – 443 BC). The concluding work on this brilliant CD is commented on by the composer as well as the harpist. The music is as pure, as transparent and hypnotic as the text. I’ve seldom heard music so totally in communion with an accompanying text, or the other way around. The choir is illuminating the music like a low sun at dawn shining through a bank of mist. The harp(s): embellishments on the spiral motion of time, deviations on the protraction of mind – caressing fingertips across a face of a loved one, momentarily expressed through an anatomy pulled out of timelessness into time, pulled out of the endless resources of nothingness into somethingness… for the time being… for the time; Being! I think Dette blanke no (This Our Virgin Now) comes as close to describing in sound what the Buddhists call Rigpa – the innermost nature of mind; our ultimate nature, the state of omniscience or enlightenment – as anything I’ve ever heard. To round this review off, I must express that the content of this CD has the potential of being perceived as spiritual in a deeper sense, as well as musical: high praise indeed from me. I don’t hesitate to express my profound gratitude to everyone involved, and especially to Magnar Åm, Ellen Sejersted Bødtker and Berit Norbakken Solset, who have provided me with a tool of beauty and reflection that appears almost God-given in this early spring of 2009.